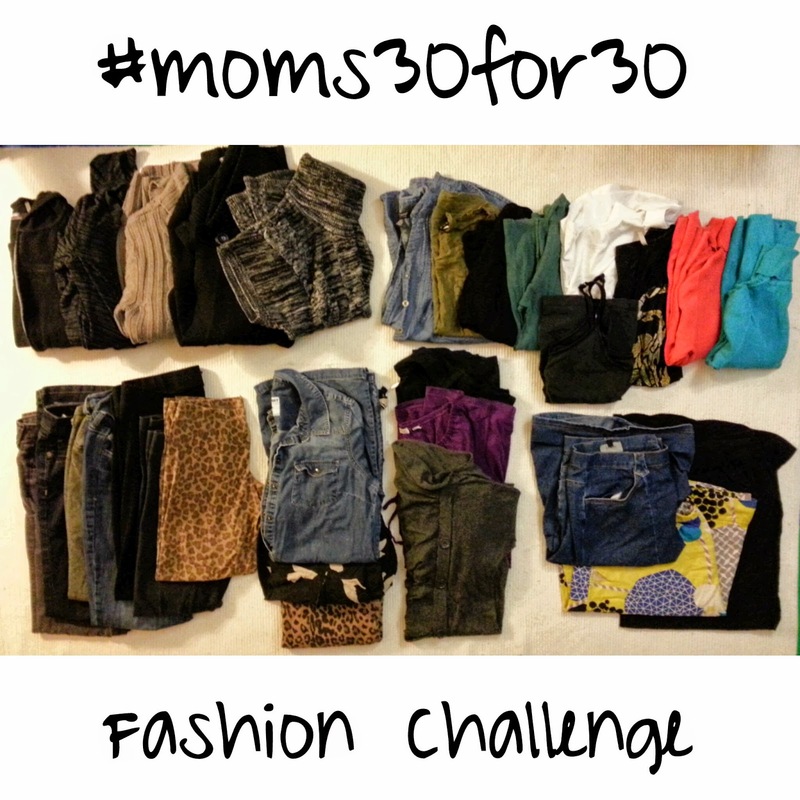 When I decided to join in the 30for30 challenge, I thought it would be a great way to help me prune my wardrobe & make better use of what I have. I wanted to focus a little more than I have been lately on putting together outfits, rather than throwing on clothing each day. 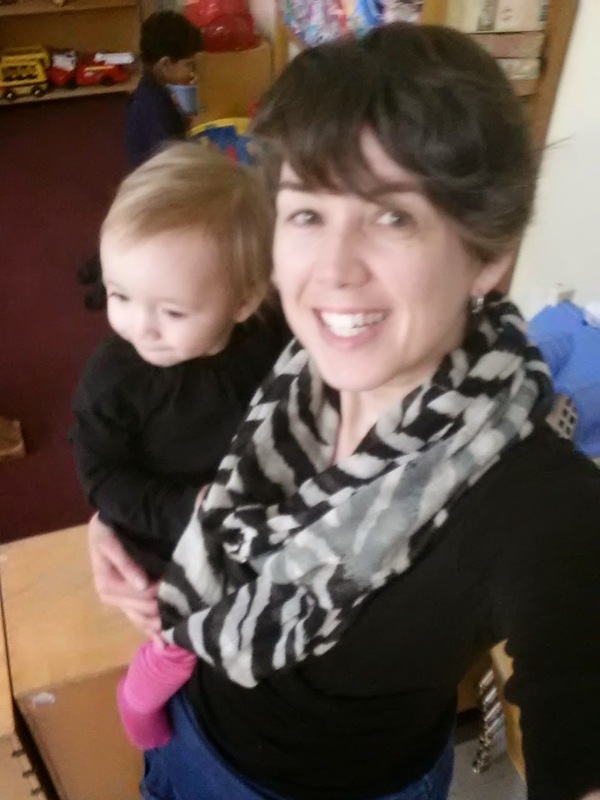 I also thought it would help me not to forget my #365FeministSelfie either, as I've been prone to doing lately. 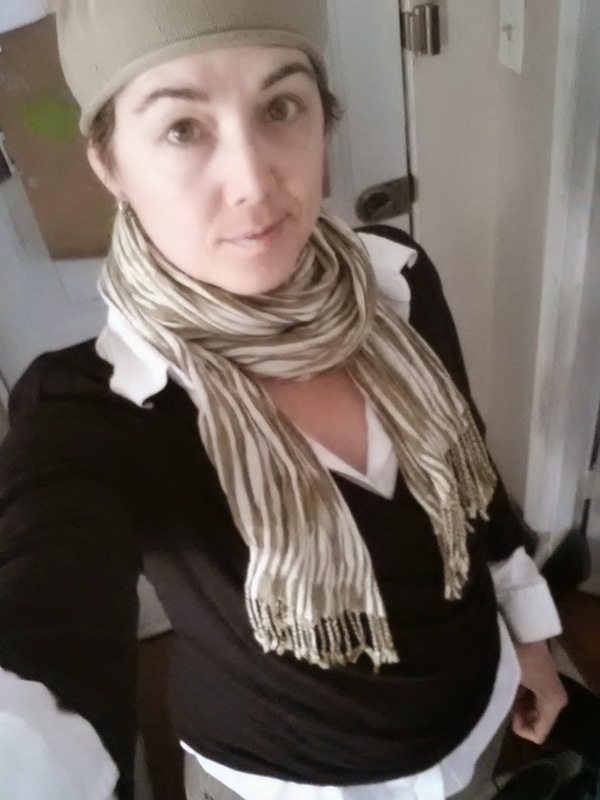 I think it helped me think about outfits a bit more, but I still forgot my #365FeministSelfies several times. Despite my initial excitement about the concept, the first week of the challenge found me, well, foundering. I wasn't really feeling it & then the pressure to post the selfies of my outfit of the day made me more self-critical of my appearance than I've been in a while. 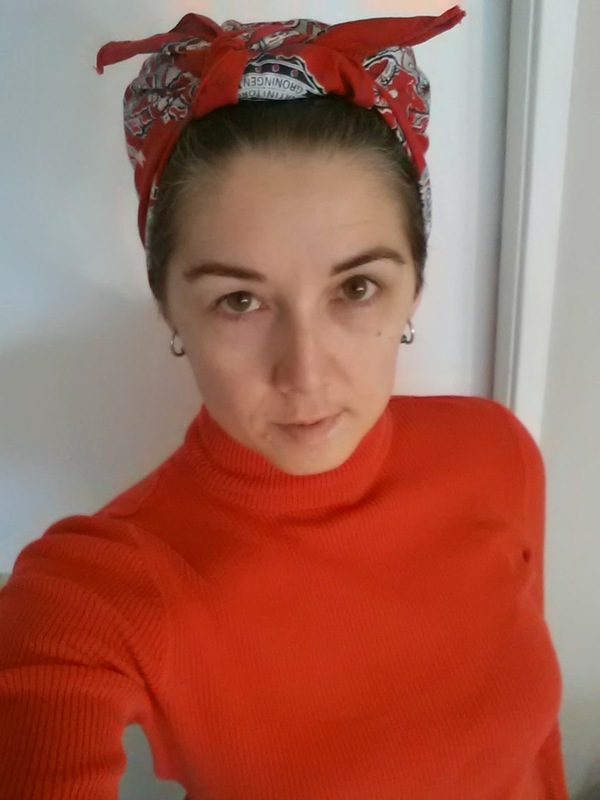 I feel like my self-confidence actually took a little bit of a hit, which wasn't exactly my intention, & totally conflicts with the purpose of the feminist selfie project. It also had me starting a list of clothing I need to replace. Wearing a limited number of pieces has made me very aware that many of my favourites are a bit bedraggled. I'd like to replace them with better quality, better fitting in some cases, newer items in others. 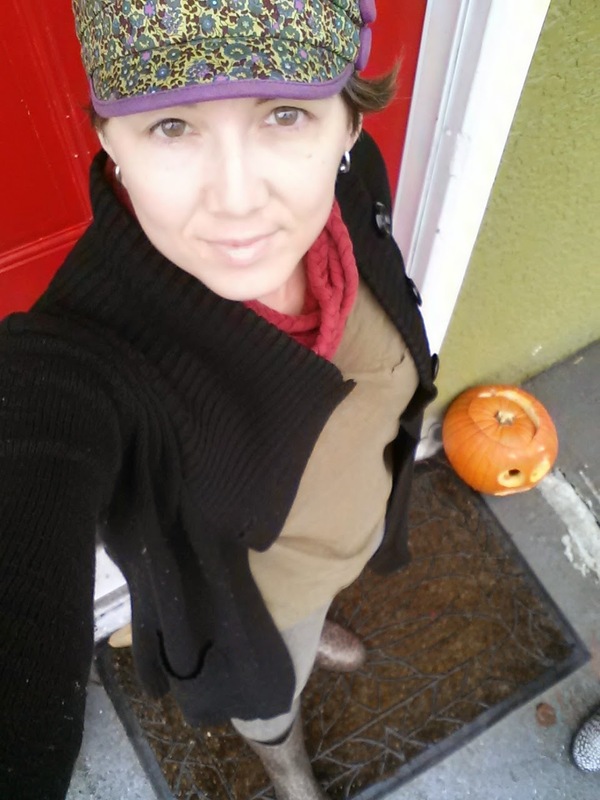 By the second week, I was enjoying the simplicity of a reduced wardrobe. My drawers are all well organized & it's easy to find something to wear. I'm not digging through a pile of things I don't really wear very often to find my favourites. It inspired me to prune my sock collection (I tossed many that I haven't found matches for in ages, as well as donating at least a dozen that don't fit well) & donate some of the clothes that used to just take up space in my drawers. Nearing week three I discovered a slight flaw in my tiny wardrobe: laundry colour separation. Nearly everything I picked out to wear is dark colours, so can be washed together. The few bright colours & one single white item don't make up enough for a load of laundry. I can combine my brights with the kids' clothes, but I'm not sure all four of us have a load worth of whites every week. In the third week I started to miss some of my clothes that hadn't made the cut. I also regretted including three skirts, as I hadn't worn any of them by day 19. I blame the weather, to some extent. November got a little colder than usual toward the end of the month. This was also a serious adjustment for me, as I have A LOT of clothes to choose from & I honestly wear a wide variety of them. There are definitely some that sit around unworn most of the time, but I really do wear a lot of my wardrobe. Week four saw me just... bored. I had washed all my clothes (except for that pesky white shirt) but I was getting really bored with the few things that were in my drawers. In this cold weather my two sweaters & two turtlenecks were getting a lot of use. My skirts: not so much. I only wore one of the three on one occasion all month. I guess I'm more of a dress & leggings person than a skirt person. Now that I've completed the closet remix challenge, I'm fairly sure that I'll continue editing my wardrobe & trying to keep it much smaller than it has been. There is definitely something liberating about having less clothing. But I won't be sticking to just 30 pieces anytime soon. I think it would be possible to have a 30 piece capsule wardrobe some day, but I don't have 30 pieces I want to limit myself to at this point. On the whole, I think this challenge was definitely worth doing & I may do it again another season. What about you? Did you play along? Do you think you could live with just 30 pieces in your wardrobe?